Determine the fractal dimensions of several line-deformation fractals. Input the scale factor and number of similar copies, and the dimension will be calculated. 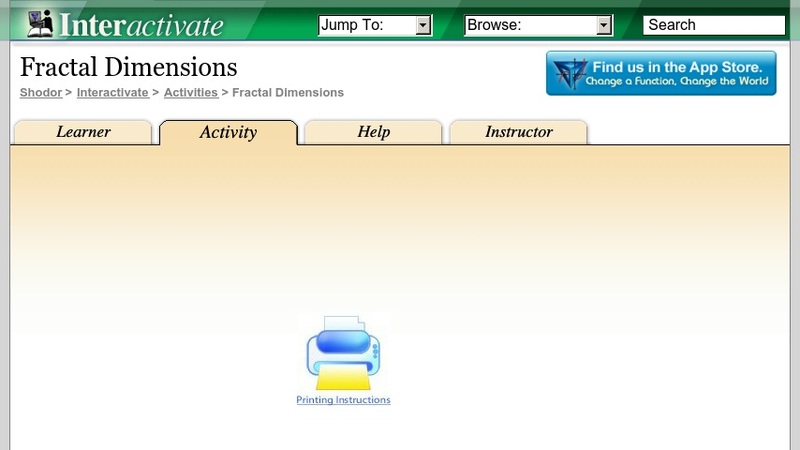 Fractal Dimensions is one of the Interactivate assessment explorers.